Chapel and Music classes are both currently on Mondays. Christmas Program Thursday, December 14 at 6:30pm. All family is invited! I can thank God for my family, friends, and everything I have. I show interest in our songs that we sing. I can pretend to read books from left to right. I can ask simple questions about myself and my family. I enjoy the art process when making different things in the classroom. I can control the small muscles in my hands. I can help my teacher with different things in the classroom like preparing for snack. Practice saying Please and Thank You. Talk about what you and your family are thankful for. I can understand the God created everything. I can read my own writing. I can dictate something for an adult to write down. I can produce marks, pictures and symbols that represent print and ideas. I can speak in complete sentences. I can rote count orally to 30. I can understand and use ordinal numbers. I can recognize two dimensional shapes. I can use prepositional words to describe the position of objects. I can experiment with weights and balances (using scientific tools). I can collect, describe, and record information. 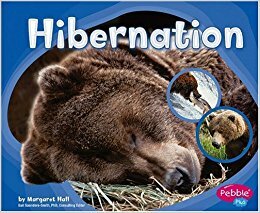 I can describe animals and animal patterns/cycles. I can develop skills and an appreciation for dance and music. I can define texture by sight and touch. I can perform locomotor and non-locomotor skills at a basic level. I can identify and use a variety of spatial relationships with objects. I can identify feeling and appropriate ways to communicate needs and wants. I can share and take turns. Read God Created, Read All Things Bright and Beautiful, Read/Write/Recite the poem God Made Me! 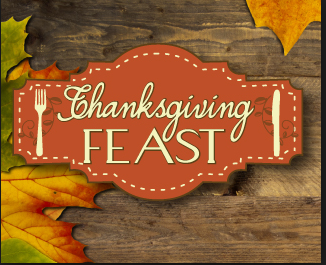 Thanksgiving Feast is Friday, November 17 at 11:30. Sign ups are out in the morning by the 2’s room. There is no school next week November 22-24. "I can thank God for my family, friends, and everything I have. I can begin to demonstrate one-to-one correspondence using our number puzzle. I can describe physical properties of the items used to our crafts. I can ask simple questions about myself. I can ask simple questions about my family and community. I can use a variety of media for different crafts and projects. I can help my teacher with different things in the classroom like preparing for snack. " Discuss how to be thankful for what God has given us. "Jesus Feeds 5000" - talk about how all of those people were thankful. I can share and take turns"
"I can give God thanks through prayer. I can identify and form the letter Qq. I can create art using the letter Qq. I can match uppercase and lowercase letters. I can discuss characters and settings and make predictions about stories. I can count with one to one correspondence and form numbers to 10. I can compare objects by size and shape. I can construct a sense of time through participation in daily activities. I can share information through dictation and drawings. I can differentiate between celebrations in the past, present, and future. I can identify people who are important in my life. I can create Thanksgiving art. I can participate in large motor and fine motor activities. I can share with others and respect others." Thanking God for all we have and the people in our lives. "A Child's Prayer of Thanks"
Take some time for each family member to express why he/she is grateful for each other family member. Parent-Teacher Conferences on Friday, November 10. You can bring your child with you to the conference. THERE IS NO SCHOOL THAT DAY. 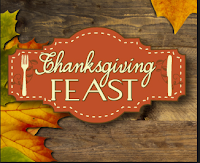 Thanksgiving Feast is Friday, November 17 at 11:30. I can thank God for everything we have (family, friends, etc). I can discuss past, present, and future events (holidays). I can predict what comes next in an ABAB pattern. I have awareness to the change in seasons and weather. I can follow simple instructions. I can use a variety of media when making our different arts and crafts projects. I exhibit hand-eye coordination when doing different activities through each day. I demonstrate a need to complete tasks on my own when working on different activities. Discussed how God taught farmers how to grow vegetables and how we harvest them for our food. Learn our song from Pastor Groth. Talk about the different holidays at this time of year. From the Devotional Book - "Being Silly", "Be a friend to everyone" and " Calm Down"
Please help your child practice putting on their jackets/coats. I can identify initial sounds in words and names. I can demonstrate emergent phonemic/phonological awareness. I can show interest/understanding of the basic concepts/conventions of print. I can explore the physical aspects of writing. I can identify the shape/sound and write the letter Oo. I can count with understanding and recognize ""how many"" are in sets. I can sequence activities and make predictions. I can retell and order pictures in chronological order. I can describe and compare the basic needs of living things. I can express wonder and ask questions about my world. I can begin to describe people who live in different places for different reasons. I can observe, discuss, and dramatize basic economic concept such as buying and selling, producing, and consuming. I can develop skills in dance and drama. I can hold and manipulate scissors correctly. I can demonstrate ability to alternate left and right sides of the body and cross the mid-line. I can develop relationships with peers and adults. I can help, share, and cooperate in a group setting. Stewardship. We will define the word stewardship, recite a kindness pledge, do random acts of kindness, and use our time and talents to help others. 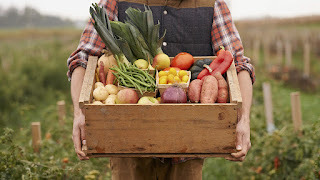 Point out vegetables at the grocery store and discuss the process of planting and tending crops, harvesting, and buying/selling to customers.